Bitcoin trading in India is a new way to make money online. My friend has purchased Bitcoin (BTC) online before one year ago, and today by selling it he earned a hefty return of 150%. Bitcoin is fastest growing digital currency all over. A return given by bitcoin in past one year has flattened all other asset class. However, trading in Bitcoin is a risky affair and not allowed legally in India. Bitcoin is virtual currency controlled by shadow people in an unregulated environment, without any real guarantee of return. In this post, I will share information about Bitcoin, how it is different than regular banking system or the stock market. Bitcoin is the first decentralized digital cryptocurrency. It can be saved, spent, invested, traded and even stolen. It is open source peer to peer digital currency launched in 2009. Bitcoins are like a virtual digital coin that you can send using the internet. No middle man or transaction fee is involved while dealing in BTC. However, bitcoin is one of the most expensive currencies. You need to spend $585 to purchase 1 BTC. If we talk in term of INR you need to Rs.40000 to purchase 1 Bitcoin. Bitcoin is not a physical coin. It is paperless, transparent and electronic form of money. 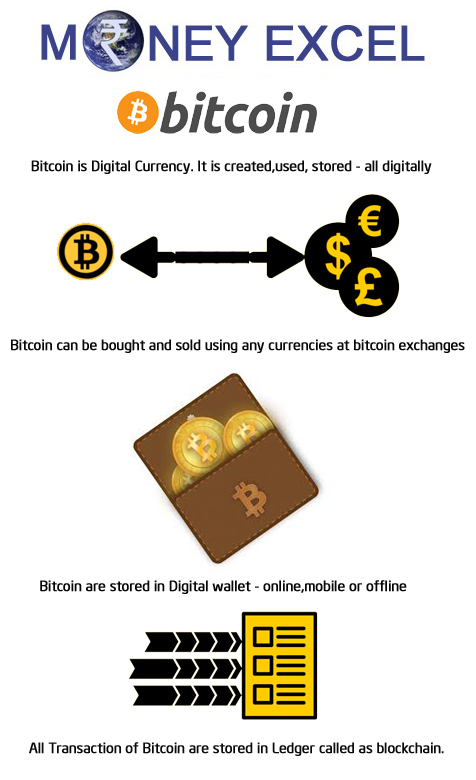 Bitcoin can be purchased from different bitcoin currency exchange networks. These networks allow users to buy and sell BTC from their chosen form of currency including INR, USD, and Euros. Some of the most popular BTC currency exchanges are given below. You can even purchase bitcoin from the individual. Bitcoin can be kept in a digital wallet or in BTC client. How to make money using Bitcoin trading? You can make a lot of money by buying and selling bitcoin online. Bitcoin trading is like the stock market. It is high risk, high reward affair. 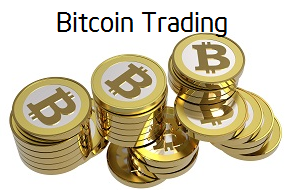 Follow the steps given below to start bitcoin trading. Create your account at exchange and deposit funds. Select a right strategy for trading – Day trading, Swing trading or long term investment. Purchase BTC at a lower value and sell it at a higher value to earn a profit. Make sure to check brokerage charged by exchange and minimum lot size before starting. Bitcoins are transferred directly from person to person through the internet without going to bank or clearing house. Fees of transferring BTC is very low or nil. No prerequisite or arbitrary limits. Your account can not be frozen. Currency is highly volatile and does not offer guaranteed returns. Legality of bitcoin depends on upon your location. Some of the countries allow usage of this digital currency, however in some country it is illegal. In India status of bitcoin is ambiguous. As per RBI, they have no plan to legalize or regulate BTC. However, it is traded by Indian at various exchanges. In the USA Bitcoin is declared as a commodity and traded without any concern. In Bangladesh trading in BTC is not allowed. The rule says “anybody caught using the virtual currency could be jailed under the country’s strict anti-money laundering law”. To know the legality of bitcoin in your country click here. What is your take on this new form of digital currency? Do you think the usage of Bitcoin will grow in India? Do you trade in bitcoin? Do share your experience with all. What is Virtual Credit Card and How does it work? Yes you can do that at Zebpay.However,as per RBI, it is illegal to deal in Bitcoin. I think bitcoin is gaining lot of attention in USA and other developed countries but it is still a debatable currency which I would not recommend to anyone. But yes it is gaining lot of popularity and I am not sure what the future would look like with this new kind of trading currency. Hi Raviraj, Thank you for sharing your knowledge. Can you tell me about wowcoin? Is it available for trading in India? If yes share your views and how? Hello Raviraj! Thanks for the details.. Never knew about the virtual currency concept before..Learned Something new today..